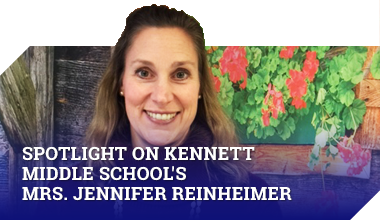 Family Connection is a comprehensive web-based guidance suite used by the Kennett High School counseling department. It is accessible free of charge to Kennett High School students and their parents. Features of this program include personality and career inventories, college exploration and planning tools, a database or local scholarships, and space to record and store one’s accomplishments and activities. Students and parents can log on to Family Connection at https://connection.naviance.com/fc/signin.php?hsid=kennetths. Any student or parent who does not know their user name and/or password should contact the guidance office. Big Future by College Board provides a comprehensive college search engine by the folks who bring you the SAT. You can use this tool to search for colleges based on location, major, size, cost, diversity, activites, academic credit and other criteria. Check it out at https://bigfuture.collegeboard.org/college-search . Quest Brdige. This site helps outstanding low-income high school seniors gain admission to and win scholarships at some of the most select colleges and universities in the country. http://www.questbridge.org . College Board Online– This site provides information about the SAT tests and allows you to register for the test online with a credit card. The site also serves as the portal to a wealth of other useful toos, including an excellent college search engine and information about financial aid. Students need to establish an account with a username and password to access all available services at http://www.collegeboard.com. MyRoad is a personalized exploration tool for exploring colleges, majors and careers. Students can utilize the MyPlan program to record, track, and manage personal information such as courses taken, jobs held, and activities participated in. Students can also take a personality assessment and track their interests and goals. Students whot took the PSAT can use this program free of charge. To set up personal accounts students should go to http://www.myroad.com, and use the personal code provided to them on their PSATscore reports. Dome SAT Review– Provides free SAT preparation, including study guides, practice quizzes, and practice tests http://www.domesatreview.com/ . Paying for College– New in 2012, this interactive tool, provided by the Consumer Financial Protection Bureau, helps students and parents compare the expenses and possible future debt burdens of up to three colleges at a time. This tool, as of the Spring of 2012, was still in Beta form. http://www.consumerfinance.gov/payingforcollege/costcomparison/ . U.S. Department of Education Office of Postsecondary Education– A guide to federal grants, loans, and work-study programs.